We are very proud to be celebrating OW2's tenth anniversary this year. OW2 inherited a repository of open source middleware solutions called ObjectWeb, that was supported by Inria], the French Institute for Research in Computer Science and Automation, and Bull ATOS Technologies. 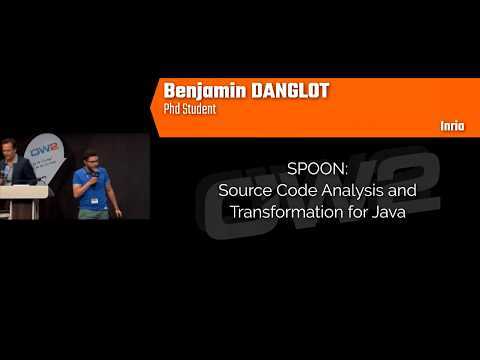 pen source software is going mainstream, and this brings a whole range of new challenges to the open source ecosystem. as it becomes increasingly mainstream, OSS expands into new territories where its advantages are not quite so obvious. For example, in going mainstream OSS has to prove its worth to conventional business managers who are far from free software advocates. The story of open source at Engineering Group started by networking with international communities. The first one was ObjectWeb in 2005, followed by the collaborative foundation of OW2 in 2007. I still remember the final preparation workshop in Rome, in November 2006 … it’s been a long time. This coming speech won’t be just a celebrative talk: it will introduce both a reflection about lessons learned by one of OW2 founding members and a look at future prospects and challenges of open source in the era of digital innovation, aiming at keeping the spirit of the ground values of open source alive over time. In 2010 I wrote the paper “Which open source software for the current decade? Five questions for the future”. It’s now time to answer to its final question: “Which approaches and real opportunities do we need to adopt in order to lead the business and technological innovation towards a new knowledge-intensive way of producing and living?”. Trust, one of the open-source key-words, is part of the answer: progress is not possible without trust, in the digital world. OSI was established in 1998, and with it the term "open source" to describe software licensed to enable collaboration around free software. 2018 consequently sees the start of the third decade of open source. What changes will we see? What principles can guide us? After studying engineering in the most prestigious French schools (Polytechnique, ENST), Thierry Souche joined the Orange Group in 1994. With his considerable international experience, he helped Orange establish the brand in the Netherlands, in the United Kingdom and in Romania as Chief Technical Officer. In July 2011, Thierry Souche was in charge of the Orange Platform Services, then, in 2012, the Orange Labs Products & Services, a technology organization, located in 10 countries over 3 continents, carrying Research, Anticipation and in-field Deployment projects of services. Involved in the digital transformations to deliver cutting edge solutions for the retail and business customers, Thierry Souche is currently the Orange Chief Information Officer and Senior Vice President of Orange Labs Services. Keynote Presentation by Thierry Carrez, VP of Engineering, OpenStack Foundation. Thierry Carrez is the Vice-President of Engineering at the OpenStack Foundation, helping ensure the long-term health of the OpenStack upstream open source project. He has been the Release Manager for the OpenStack project since its inception, coordinating the effort and facilitating collaboration between contributors. He is the elected chair of the OpenStack Technical Committee, which is in charge of the technical direction of the project. Legal & General is engaged into a very innovative Digital Transformation, which goes from the services offered to its customers to the management of its IT Applications and Infrastructure. 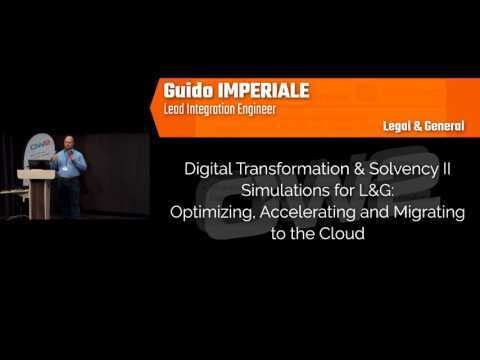 As part of this strategic evolution, this talk presents how L&G together with ActiveEon Software and Services was able to replace 2 schedulers (Tibco DataSynapse and IBM AlgoBatch) with ProActive Workflows & Scheduling, and migrate the Solvency application to the Azure Cloud. A key aspect has been the ability to pipeline CPU-intensive tasks with I/O intensive ones. This alone allowed for 10% overall savings in runtime and grid resources, and for the high priority risk reports to be made available to customers 3x faster than the previous solution (16 hours down to 5 hours). More and more of the mainstream apps are open source, but how do you become a mainstream app ? How do you make some noise around your OSS project ? 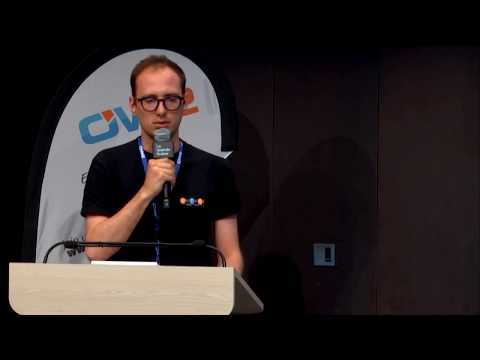 Without giving any hard answer, this talk will provide some examples and strategies me and my team followed in order to solve some of these questions, including upstream contributions to major OSS projects, blog posts, cross-collaboration, public and free access to online services, and ultimately : this call at OW2con ! What are the reasons that push companies toward open source softwares solution? The access to a source code, with a developing community, which provide software support, quality and even sometimes security. The access to a large and "free" software library. Those answers are only the tip of the iceberg and cannot be enough to understand the compagny policies toward open source tooling. We propose to analyse this question and provide new and deeper answers. Changing minds are the leading actors of innovation ! After 12 years of experience in the open source Community, the OW2 SpagoBI project evolves its business model in the aim of providing the community and the market with an even more featured product with a transparent positioning. The Knowage Community Edition leverages on the whole SpagoBI experience and evolves into a more mature and competitive trend to fulfill the criteria of a Modern BI suite, including traditional and advanced analytics based on Big Data. It keeps on stimulating the contribution from the open source community and the collaboration with OW2 projects and initiatives. Hammr is an OW2 open source, command-line tool for creating consistent and repeatable machine images for different cloud or virtual environments, or migrating live systems from one environment to another. Designed for cloud-era environments, where agility and automation are key, hammr helps organizations automate the creation of machine images for hybrid environments. This presentation will focus on how hammr can integrate with existing DevOps toolchains, and how it can be used to quickly build and run trusted Docker images with full software governance. Finally, we will present the latest hammr features, including expanded cloud support (Azure Resource Manager and Fujitsu Cloud Service K5), enhanced design of software bundles, and Multi-NIC support, allowing users to support several network interfaces within a VPN or externally. Il s'agira de présenter les dernières nouveautés et réalisations après avoir fait un rappel des fonctionnalités et potentialités de l'outil. La release officielle de la version 6 aura lieu dans le courant du mois de juin. Introduce and demonstrate the Rocket.Chat platform to OW2 membership. Present the APIs, integration, and extension possibilities for the Rocket.Chat real-time messaging platform. Present Rocket.Chat's open source centric business strategy to compete head-on with major closed source SaaS competitor(s). Describe how open source community building and empowerment is the single key enabler for Rocket.Chat's long term vision of becoming the de-facto global collaboration platform of choice. The European research project Prosperity4all focuses on developing the infrastructure to allow a new ecosystem to grow; one that is based on self-rewarding collaboration, that can reduce redundant development, set lower costs, increase market reach and penetration internationally, and create the robust cross-platform spectrum of mainstream and assistive technology-based solutions. P4All is part of a wider initiative for the creation of a Global Public Inclusive Infrastructure (GPII), a paradigm shift in eInclusion through one-size-fits-one digitally inclusive solutions. 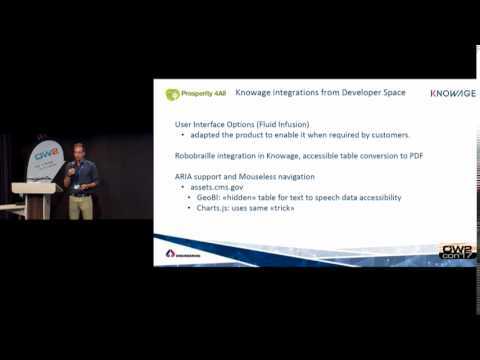 The presentation focus on the activities performed in the P4All project to evolve the Knowage OW2 BI platform adding accessibility features to allow access to business intelligence data for users with different type of disabilities. - Fluid Infusion: Preferences Framework to allow users with visual impairments to adapt KnowAge interfaces based on their needs. Raphael Semeteys is Software Architect at Worldline. 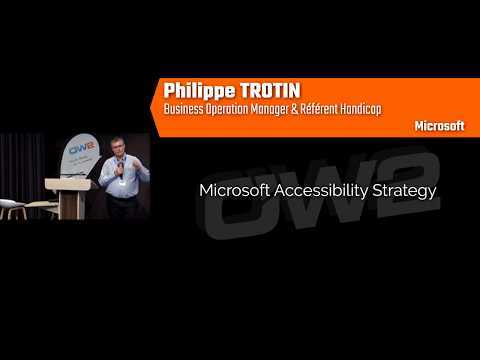 Presentation of Microsoft's Accessibility Strategy by Philippe Trotin, Business Operation Manager & Handicap Referent at Microsoft. The OW2 Accessibility Initiative OSAi is a community-driven initiative hosted by OW2 and designed to develop open source technologies and share best practices in the field of accessibility. OSAi contributes to build synergies between OW2 members and the larger community around open and compliant digital solutions for people with physical or cognitive difficulties. The initiative seeks to facilitate technology integration between open source accessibility enablement and management software. It provides a neutral forum to identify, discuss, develop and integrate quality open source solutions for accessibility. SpagoBI joined the FIWARE project in 2014 as Data Visualization component. The FIWARE mission is “to build an open sustainable ecosystem around public, royalty-free and implementation-driven software platform standards that will ease the development of new Smart Applications in multiple sectors”. The presentation will provide a short introduction to the FIWARE ecosystem, then it will go into more details on complex scenarios where the data visualization (SpagoBI and Knowage) is involved. 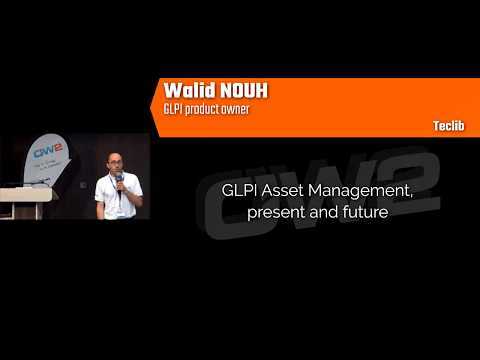 GLPI is an open source IT asset management and service desk software. The project has started in 2003, and has reach a great popularity worldwilde. During this talk, Teclib will explain how GLPI is being modernize to meet new challenges. 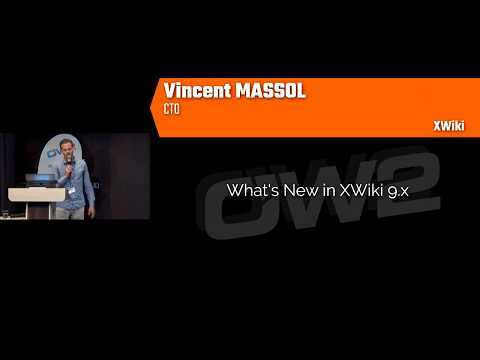 XWiki, the Open Source structured Wiki, continues to progress with many new possibilities. This presentation will present how to use a structured Wiki for collaboration and look at the new features and extensions available in XWiki 8.x and 9.x. Ronan Kirby is Head of NGINX EMEA and an open source veteran, with an accomplished history in enterprise technology. He spent over 10 years working with Red Hat, in senior technical and commercial roles; has helped grow numerous technology companies across Europe and Asia for the European Bank (EBRD), as well as holding leadership positions in a number of other technology companies. 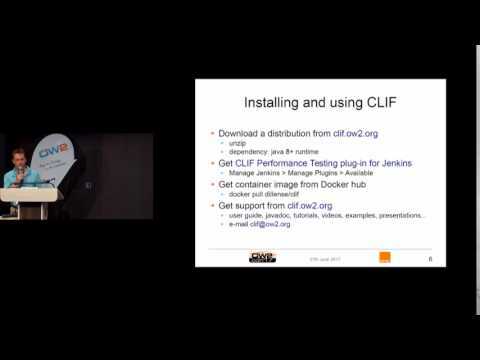 While CLIF production version 2.3.5 has just been released, let's have an overview of all available features and tools, and see how the project will carry on towards automation for efficient performance testing and monitoring. The design of new information systems requires usage of cloud ready development frameworks like SeedStack. SeedStack coding approach comes with some major benefits: compliance with open source cloud standards, modular design and clean code. Using domain driven design and bounded context concept, the microservices are finely identified. 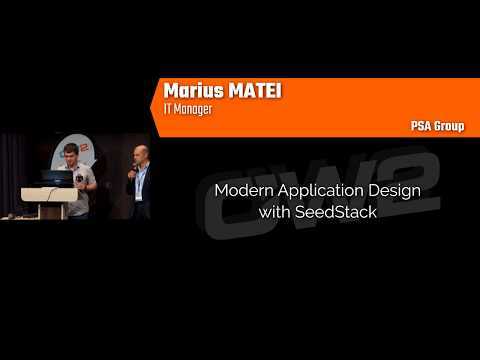 Operational elements like performance measures, APIs for connecting ressources are provided by SeedStack in order to prepare the integration of a cloud ready application with the host. SeedStack project templates and automation accelerate the development of cloud ready microservices. 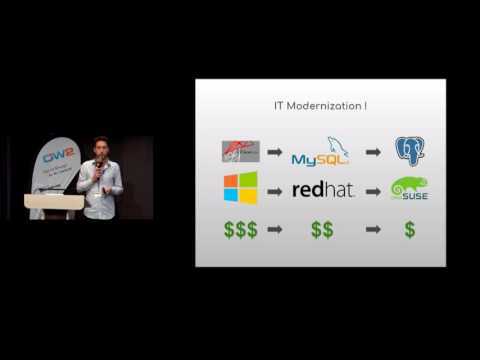 This presentation demonstrates how to build and operate such microservices. From Code to Product, from Myth to Reality, the CHOReVOLUTION project is achieving its goal by delivering a dynamic platform, during its third and last year. 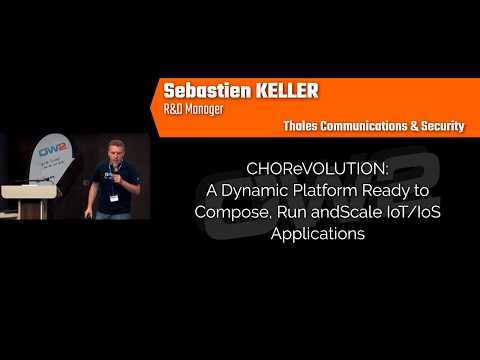 More precisely, the CHOReVOLUTION Studio for Eclipse is addressing scalable IoT/IoS applications based on choreography modelling, synthesis, adaptation, service bus, security, and cloud. It aims at integrating as much as possible existing web services to create new innovative solutions. The first applications developed for evaluating the solution provided useful feedbacks allowing us to improve the solution in order to reach a first level of maturity. The CHOReVOLUTION software are published under an open source licence and made publicly available through the OW2 community. In this track, we present, Nuun is a powerful and flexible micro-framework for building enterprise class applications and stacks. Nuun brings another experience where developers do not spend time working on configuration. Configuration can be encapsulated in modules so developers can focus on writing application code. Nuun brings a clean kernel/plugin design plus a JSR 330 compliant injection mechanism backed by Google Guice. It is designed to be compatible with the major injection frameworks (spring, guice for now, tapestry, picocontainer, jodd, etc to come ...). Nuun aims to be a reference for enterprise application development. Nuun makes a clear separation between stack developers and business developers. Stack developers will define convention and high level technical aspects by creating plugins. Then business developers will be free from configuration and will be able to focus on business issues not technical issues. DevOps strongly encourages the development of test suites and test scripts that can run automatically at every build in order to detect regressions as soon as possible. However, the manual development of strong test suites is extremely time consuming. In this talk I will introduce test amplification, as an original solution to address this pain point. This approach consists in leveraging existing test cases and scripts in order to produce new ones through automatic transformation processes. I will present initial results about unit test amplification, from the STAMP project. Open Source software projects have diverse goals, but they mainly have a mission in common: promote the adoption and collaboration of their specific products. They might have different reasons for it and different policies to achieve that vision. But it ends being about the people using and developing those products. Talking about "success", in this case, it would mean that the products are used and developed by individuals or by the industry. How could we measure this success? 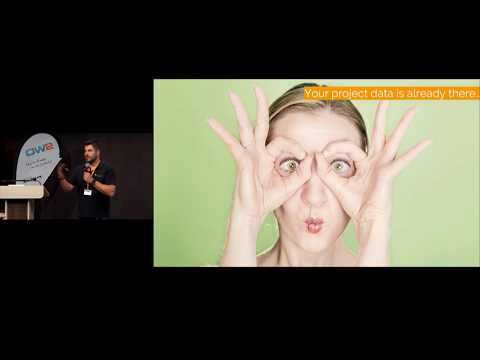 Metrics are useful for project transparency, neutrality, marketing and engineering, and during this talk we will present some use cases and tools to manage your open source and collaborative software projects in an effective way. The goal of the MEASURE (Measuring Software Engineering) project is to increase the quality and efficiency as well as reduce the costs and time-to-market of software engineering in Europe. By implementing a comprehensive set of tools for automated and continuous measurement, this project provides a toolset for future projects to properly measure their impact. More importantly, it opens a new field for innovation. The real innovation will be in the advanced analytics of the measurement data enabled by the project. As it becomes increasingly mainstream, OSS expands into new territories where its advantages are not quite so obvious. For example, in going mainstream OSS has to prove its worth to conventional business managers who are far from free software advocates. This presentation shows how we leverage the experience gained through our quality program by developing a transposition of NASA's Technology Readiness Levels in the business world of open source. 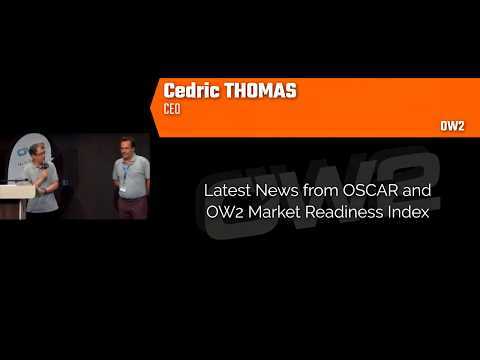 We introduce the OW2's Market Readiness Index: it will bring value to our projects and stability and predictability for open source decision makers. Deciding if an OSS project meets the required standards for adoption is hard, and keeping up-to-date with a rapidly evolving project is even harder. Making decisions about quality and adoption involves analysing code, documentation, online discussions, and issue trackers. There is too much information to process manually and it is common that uninformed decisions are made with detrimental effects. This talk will make an overview of the EU H2020 CROSSMINER project, which aims to remedy such problems by automatically extracting required knowledge and injecting it into the developers' Integrated Development Environments (IDE), at the time they need it to make design decisions. This allows them to reduce their effort in knowledge acquisition and to increase the quality of their code. CROSSMINER uniquely combines advanced software project analyses with online IDE monitoring. Developers will be monitored to infer which information is timely, based on readily available knowledge stored earlier by a set of advanced ofﬂine deep analyses of related OSS projects. LemonLDAP::NG is a free WebSSO software providing an authentication portal, an authorization agent and supports protocols like CAS, OpenID Connect or SAML 2. 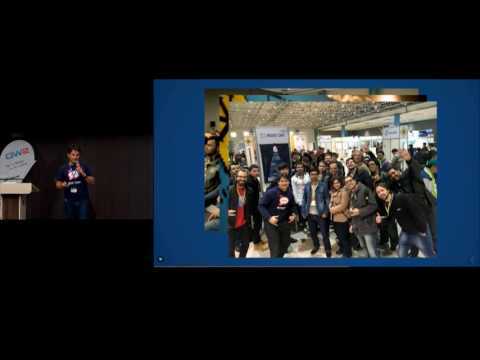 It is a pure community project, supported by OW2 and other organizations like French Gendarmerie Nationale and Savoir-faire Linux. We will present the brand new version of LemonLDAP::NG : 2.0. 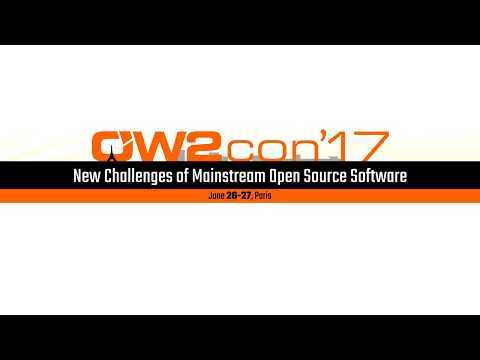 OW2 is an independent, global, open-source software community. The mission of OW2 is to a) promote the development of open-source middleware, generic business applications, cloud computing platforms and b) foster a vibrant community and business ecosystem. OW2 developments follow a flexible, component-based approach. These components range from specific software frameworks, protocols and applications through to integrated, service-oriented platforms for enterprise computing. Our mission was to make an audit on the existing LDAP Directory, to review schemas and data modeling, to develop a plugin for community management and community projects and eventually, to do an intensive testing and correction of the webservice. OW2 wanted to reorganize all its IT infrastructure. They were facing a major issues : users data were distributed in a database and an ldap directory, thus no single source of identification and authentication. Management was difficult and did not allow an easy access to data. Today webapps and cloud services are becoming more and more significant in our everyday lives. As a result we upload an increasing amount of our private information to the cloud and after it is uploaded, we lose control of how it will be used. Zero Knowledge is the revolutionary idea that cloud services can make themselves voluntarily ignorant of the content which they host. Webapps have traditionally avoided encryption because it is currently impossible to verify a webapp. You just have to trust that the webapp creator isn't serving you a special insecure version of the app. But if the webapp creator served everybody an insecure version, they would certainly be caught in the act. So although we cannot prove a webapp to be secure, we can prove that it is not built for mass data collection. Zero Knowledge is about changing the discussion around cryptography from the stuff of spy novels to a very basic thing we all care about: How can we know that the services we are using are being ethical with our data.